OFF THE STRIP WILL OPEN AT THE LINQ DEC. 24: Off The Strip will debut at The LINQ Promenade on Wednesday, Dec. 24. The two-story, 11,000-square-foot bar and bistro will be open 24 hours daily offering breakfast, lunch and dinner. 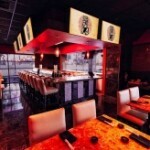 Indoor and outdoor seating will be available, with the latter situated on prime Las Vegas Strip real estate. All menus will change seasonally. SMASHBURGER WILL OPEN FIRST STRIP LOCATION DEC. 23: On Tuesday, Dec. 23, Smashburger will debut its first location on the Las Vegas Strip inside Caesars Palace’s brand new 14,900-square-foot Forum Food Court. 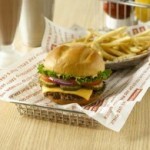 This momentous opening marks Smashburger’s ninth location in Las Vegas and second one to open in the area within seven months. Hours will be 11 a.m. to 11 p.m.
GLUTTON WILL OPEN DOWNTOWN IN JANUARY 2015: Chef Bradley Manchester will debut Glutton restaurant downtown next month and offer an eclectic menu of New American cuisine for lunch and dinner daily, as well as brunch on Sundays. Glutton will be located on Carson Avenue, across 7th Street from Downtown Container Park and showcase locally sourced produce. HUMAN NATURE PRESENTS ‘CHRISTMAS, MOTOWN AND MORE’: Las Vegas headliners Human Nature launched a new holiday production show “Christmas, Motown and More” on Dec. 12 in The Sands Showroom at The Venetian with special guest artist Robin Meade and an 11-piece band. Meade is a country music artist and host of HLN’s “Morning Express with Robin Meade.” Human Nature will perform the show for 11 days beginning Friday, Dec. 12 with a special 1 p.m. matinee show on Christmas Eve. JACK WHITE WILL APPEAR AT BROOKLYN BOWL: Jack White will be live at Brooklyn Bowl Las Vegas on Wednesday, Feb. 4, 2015, at 9 p.m. Tickets are $65 and $70. In 2004, White teamed up with Loretta Lynn to produce and perform on her Van Lear Rose album, an effort that won Grammy Awards for Best Country Album and Best Country collaboration with vocals for the single “Portland, Oregon.” To date, White has won nine Grammys in seven different categories.In 2009, White returned to his original instrument, the drums, and started the Dead Weather with members of the Kills, Queens of the Stone Age and the Greenhornes. Also in 2009, White opened the doors to his very own record label, Third Man Records, where he has since produced and released more than 200 records in just over three years. 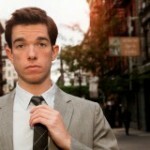 COMEDIAN JOHN MULANEY MAKES ACES OF COMEDY DEBUT: Chicago native John Mulaney will make his Aces of Comedy debut Friday, March 6. Mulaney, is a young comedian and an actor currently starring in “Mulaney,” FOX’s new comedy about a rising stand-up comic trying to take his career to the next level. He also serves as creator, writer and executive producer of the series. Tickets start at $39.99. NEW SHOW ‘PIANO MAN’ OPENING AT V THEATER: “Piano Man” is opening Friday, Dec. 19 at 5:30 p.m. in V3 Showroom at V Theater at the Miracle Mile. With more than 500 million records sold between them, Billy Joel, Barry Manilow and Elton John rank among the world’s best loved singer songwriters and it is their music that will fill the show nightly except Sunday. 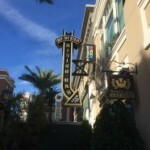 OLIVIA NEWTON-JOHN EXTENDS HER RESIDENCY AT FLAMINGO: Olivia Newton-John has been highly successful with her “Summer Nights” residency show at the Flamingo and is now extending her stay there through September 2015. The beloved internationally-renowned singer-actress will continue to take audiences on a musical journey through her life in film and music next year accompanied by an eight-piece band. Tickets for her 7:30 p.m. show are $70, $110 and $150, and a special meet and greet package is available for $350. MADAME TUSSAUDS WILL DEBUT ‘THE HANGOVER EXPERIENCE’: Madame Tussauds Las Vegas will launch its newest themed room, The Hangover Experience complete with the notorious hotel room, a smashed replica of the Las Vegas Metropolitan police car and a wedding chapel. Also making its debut will be Madame Tussauds’ brand new figure of “Alan” played by Zach Galifianakis in The Hangover films who will be joined by the figure of “Phil” played by Bradley Cooper. The 1,100-square-foot room, based on Warner Bros. Pictures’ “The Hangover,” pays homage to the popular comedy trilogy. A national sweepstakes is taking place through Jan. 9, 2015, with a grand prize including round trip airfare for two to Las Vegas, Nev., a two-night stay at Caesars Palace, a VIP tour of Madame Tussauds Las Vegas and The Hangover Experience, The Hangover Trilogy prize pack and dinner for two. To enter, visit www.MadameTussauds.com/LasVegas/TheHangoverExperience. On Thursday, Jan. 1, 2015, – also known as National Hangover Day –The Hangover Experience will officially debut to the general public at 4 p.m.
‘50 SHADES! THE PARODY’ WILL DEBUT AT BALLY’S NEXT YEAR: The “New York Daily News” proclaimed “50 Shades! The Parody” as “filthy and funny.” Las Vegas audiences will find out when the show opens in the Windows Showroom at Bally’s on Tuesday, Feb. 3, 2015, at 7:30 p.m. This musical features a sassy original score, including such songs “Open Your Book,” “I Don’t Make Love,” and “There Is A Hole Inside Of Me.” Tickets start at $69. HOZIER TO PERFORM AT THE CHELSEA AT THE COSMOPOLITAN: Hozier has been added to the The Chelsea’s entertainment lineup at The Cosmopolitan. The Irish singer-songwriter and multi-instrumentalist Andrew Hozier-Byrne, known as Hozier, will headline on Thursday, April 9 at 9 p.m. Hozier’s full-length self-titled album was released this past summer. Tickets start at $30. PENN & TELLER KICK OFF ‘13 BLOODY DAYS OF CHRISTMAS’: For the 14th consecutive year, Rio headliners Penn & Teller will partner with United Blood Services to raise awareness of the need for blood donations during the holiday season. Those who donate blood between Friday, Dec. 19 and Thursday, Jan. 1 will receive two complimentary tickets to Penn & Teller’s show.The blood drive will be held Friday, Dec. 19 through Thursday, Jan. 1at designated United Blood Services locations and mobile units. Guests may donate at the following addresses: 6930 W. Charleston Blvd. ; 4950 W. Craig Road; and 601 Whitney Ranch Dr. Bldg. D, Suite 20 in Henderson. BELLAGIO STARTS ORGANIC COLD-PRESSED JUICE PROGRAM: The Bellagio has added a healthy beverage selection to its food and beverage portfolio by now serving USDA-Certified Organic, cold-pressed juices. The kale, beet and carrot juices are gluten-free and made from organic fruits and vegetables The juices, priced at $12 each, are available for purchase at Jean Philippe Patisserie, Spa Bellagio, Palio, Palio Pronto, Café Bellagio and Café Gelato. THE MOB MUSEUM ADDS THREE NEW EXHIBIT ITEMS: Three new exhibit items are now on view at The Mob Museum downtown. The Nucky Thompson “Death Suit” was worn by Steve Buscemi, who played bootlegging gangster Enoch “Nucky” Thompson in HBO’s “Boardwalk Empire.” Buscemi wore the three-piece suit complete with a bullet hole in the series finale, in which his character was killed on the Atlantic City boardwalk. The Paulie Walnuts Track Suit was worn by Tony Sirico, who played Paulie “Walnuts” Gualtieri in HBO’s “The Sopranos,” during the opening scene of Season 6, Episode 4. The Paulie character is shown walking out of a SCUBA shop toward his car. TBONES CHOPHOUSE & LOUNGE HOSTS WINE PAIRING DINNER: Tbones Chophouse & Lounge at Red Rock Resort is holding a special evening of food and wine featuring the distinguished wines of Napa Valley’s Joseph Phelps Vineyards on Thursday, Jan. 22, 2015, at 6 p.m. 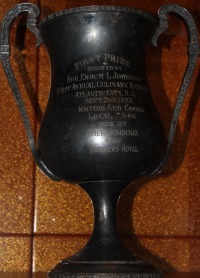 Cost for the multi-course dinner, paired with Joseph Phelps wines is $105 excluding tax and gratuity, call 702-797-7517. JK RUSS PRESENTS HOUSE OF PAPER BIRDS AT THE COSMOPOLITAN: The artist-in-residence at The Cosmopolitan through Jan. 4, 2015, is JK Russ. During her residency, Russ invites guests to join her for the creation of a magical new kingdom ruled over by feathered fashionistas. House of Paper Birds is a collage collision of female forms, birds and desert plants laced with a strong fashion component inspired by The Cosmopolitan itself. The kingdom will manifest itself in two large collages. One window work features bird women figures positioned in a desert landscape. The second collage is created on panels and features a surreal flowering Joshua tree created from images cut from fashion publications.The resort’s artist-in-residence program is developed and curated in partnership with Art Production Fund, a nonprofit organization dedicated to producing ambitious public art projects. 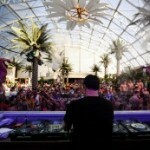 NEW YEAR’S EVE AND DAY CLIPS: Marquee has just added a New Year’s Day pool party that will take place under the Dayclub Dome and be headlined by Carnage with special guests Cash Cash. There will be a complimentary brunch and champagne open bar in the Marquee main room from 1 – 2:30 p.m. and New Year’s Day bowl games will be broadcast on Marquee’s 40-foot LED screen. Cover is males $20, females $10, and free for locals and anyone who purchased tickets for the Marquee, TAO or LAVO New Year’s Eve party. Green Valley’s new dining spot, Lucky Foo’s Restaurant & Bar located at 8955 S. Eastern Ave. will be holding a ritzy “Classic Vegas” supper club-style New Year’s Eve bash and offer two options, seated reservations starting at $90 and individual admission starting at $55. Liaison Nightclub at Bally’s – the Strip’s only gay nightclub in a casino – is set to welcome in the New Year with cult-favorite drag queens Alyssa Edwards and Shangela Laquifa Wadley of the prestigious Haus of Edwards, a group of drag queens who rose to fame with “RuPaul’s Drag Race.” The general admission ticket starts at $50. SOUTH POINT CELEBRATES CHRISTMAS AND MAGIC: Tony Orlando will take the stage at the South Point Showroom Dec. 19 – 21 at 7:30 p.m. with his Christmas Show. As one of America’s most endearing artists, Orlando electrifies the audience with his infectious energy and one-of-a-kind shows. The night will be filled with popular Christmas carols and a few of his No. 1 hits such as “Tie A Yellow Ribbon ‘Round The Ole Oak Tree” and “He Don’t Love You.” Tickets start at $45. After Christmas, Dec. 26-28, illusionist Rick Thomas will amaze audiences. Thomas seamlessly intertwines magic, music and dance into a meaningful show. Tickets start at $15. FAST TRACKING THE NEWS: There’s word that “Defending the Caveman” may be on the move again leaving the comedy showroom at Harrah’s in mid-January for a new home on the Strip. 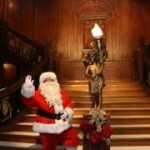 Santa will be appearing at the Titanic: The Artifact Exhibition at the Luxor on Sunday, Dec. 21 from 1-3 p.m. greeting guests and posing for photos on the opulent Grand Staircase. Minus5 Ice Bar at Monte Carlo just unveiled its new signature “Knockout Punch” cocktail in honor of Top Rank Boxing’s Knockout Girls. UFC Star Bobby “King” Green will host a fight night viewing party for the highly anticipated UFC 182: Jon “Bones” Jones versus Daniel “DC” Cormier at The Sports Bar at Crazy Horse III on Saturday, Jan. 3, starting at 5 p.m. For the remainder of December, locals and guests can enjoy a complimentary yoga class every Sunday at Foxtail Pool Club® inside SLS Las Vegas® starting Dec. 14 at 10 a.m. Lululemon ambassadors will lead the weekly sessions by the heated pool, and mats will be available. All levels are welcome to join, and participants should arrive 30-minutes prior to the start of class. 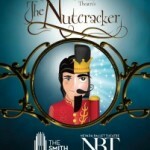 Reminder that the Nevada Ballet Theatre’s “The Nutcracker” is playing at The Smith Center Dec. 13 -21 and features a full orchestra and larger-than-life landscapes. It’s a holiday tradition not to be missed. Special motion graphics created by three Las Vegas Academy graphic design students were recently selected as the winner in a design competition and will be displayed on the Stratosphere Tower’s marquee on New Year’s Eve just as fireworks launch off the Tower to welcome in the new year. THE JUICE STANDARD OFFERS THREE-DAY STANDARD CLEANSE: The Juice Standard at 4555 S. Fort Apache Road will help kick start New Year’s resolutions to lose weight and live healthier with the company’s signature juice cleanses. Customized for full-body nutrition, the juice cleanses are available in one-day, three-day and 10-day packages. Priced at $60 per day, the cleanses include a variety of juices ranging from light and refreshing to filling. Juicers are encouraged to pre-order cleanses a few days in advance by calling 702.476.9800.